Queensland Ballet present the world premiere of Greg Horsman’s La Bayadère, a co-production between QB, West Australian Ballet and Royal Winnipeg Ballet that reimagines a little-known classical ballet and sweeps audiences away to the 19th century British Raj to experience a story of love’s ultimate triumph over death and duty. Problematic colonial themes aside, this brand-new production draws from Marius Petipa’s original ballet, premiered in 1877, and reimagines the original storyline to include less intervention from the gods and more from human nature. The Maharajah of Cooch Behar and the Governor-General of India call an end to their warfare, and arrange a marriage between their children to signify their union – Solor, the son of the Maharajah, is to marry Edith, the Governor-General’s spoiled daughter. Solor is furious, as he has promised to elope with his lover Nikiya, a bayadère (temple dancer) at the Temple of the Golden Idol. In the dramatic series of events that ensues, Solor and Nikiya’s love holds them together in life, death, and the ethereal Kingdom of the Shades – the realm of bayadères who died for love. 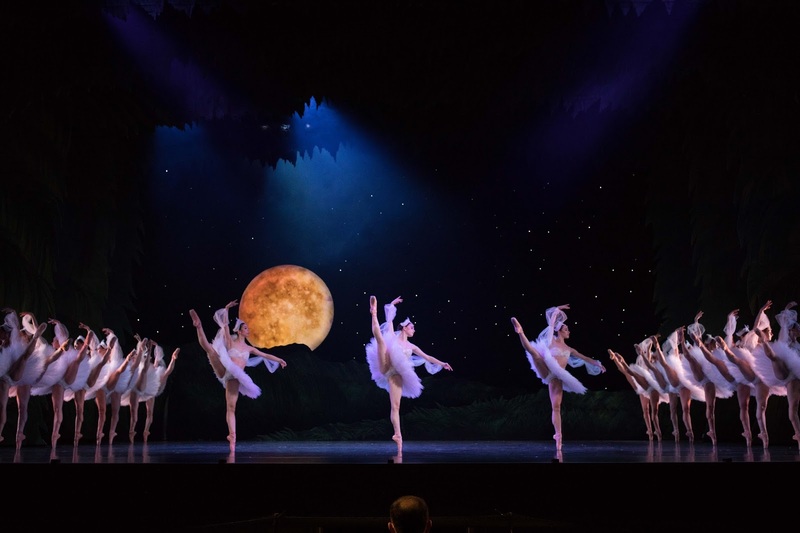 The choreography is after Marius Petipa, with the striking arrangement and movements of the Shades in Act 2 reminiscent of Swan Lake’s swan maidens, although Petipa’s La Bayadere predates Ivanov and Petipa’s Swan Lake staging by seventeen years. 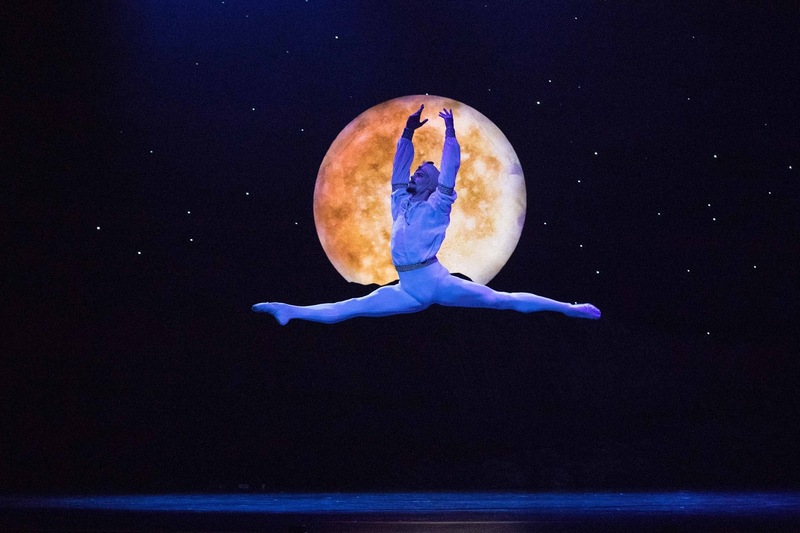 Greg Horsman has choreographed and directed a truly great story ballet, set to Ludwig Minkus’ score as arranged and conducted by Queensland Ballet’s Music Director Nigel Gaynor and beautifully performed by Queensland Symphony Orchestra. La Bayadère is filled with brilliant and breathtaking moments – the descent of the Shades in the light of the full moon; opium dreamscapes and drunken wedding dances; and the reunion of the lovers in the afterlife. The corps dancers of Queensland Ballet brilliantly performed the demanding, often high-speed, choreography. Standout moments were the canons and allegro work of the Temple Dancers, the synchronicity and strength of the soldiers dancing with their staffs and swords, and of course the celebrated dance of the Shades. The Soloist Shades – Lina Kim, Lucy Green, and Georgia Swan – had lovely footwork, and very good synchronicity with one another. Lina Kim also stood out in the wedding scene, balancing a wine jar on her head as she danced. Several dancers were promoted on-stage during the season – Joel Woellner was promoted from Soloist to Senior Soloist, and Neneka Yoshida and Georgia Swan were promoted from the position of Company Artist to Soloist. Neneka Yoshida danced beautifully in the lead role of Nikiya. The articulation of her feet and fluidity of her movements made the complex choreography seem effortless, with every movement finished cleanly and to its fullest extent. Her partner work with Solor (Camilo Ramos) was also a pleasure to watch – the made difficult lifts look effortless, and their onstage chemistry changed and shifted between Acts, particularly over the course of the Act 2 pas de deuxs. Camilo Ramos’ allegro is always impressive, despite a few messy landings, and his execution of Solor’s drunken wedding dance was perfect. Mia Heathcote is always an exceptional character in addition to her high level of technical precision, and her performance brought out many layers in the character of Edith, including an undercurrent of vulnerability – the audience was shown the spoiled and bratty child of an important father, but also the uncertainty and unhappiness of a young woman in a strange land, being forced to marry a stranger. 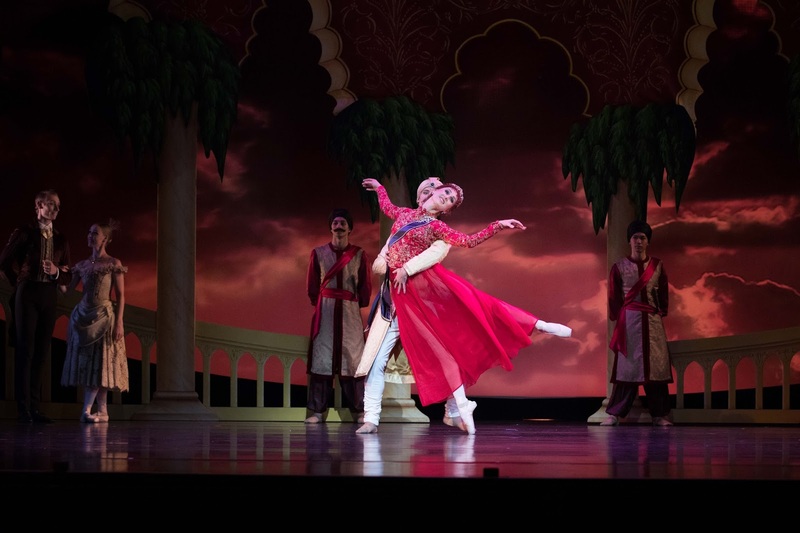 The sexual autonomy that Edith is given in Act 3 is quickly taken away, but I adored Greg Horsman’s choreography of the wedding dance, with Edith determinedly taking the lead of the pas de deux with the listless and opium-riddled Solor. Mia Heathcote was an absolute joy to watch in this role. Liam Geck was also a standout in this performance – his beautiful pirouettes and amazing elevation as the Lead Temple Dancer, and his sharp execution of the notoriously difficult and demanding Golden Idol solo were truly impressive, including a series of 20 fouettès that moved across the stage but were otherwise cleanly executed. Lighting design by Jon Buswell and sets designed with incredible depth by Gary Harris created a real sense of place for the ballet, from the oasis of the Temple of the Golden Idol, to the smoky colours of the opium den, the suspended arches and glittering ballroom of the Maharajah’s palace, and the otherworldly Kingdom of the Shades. 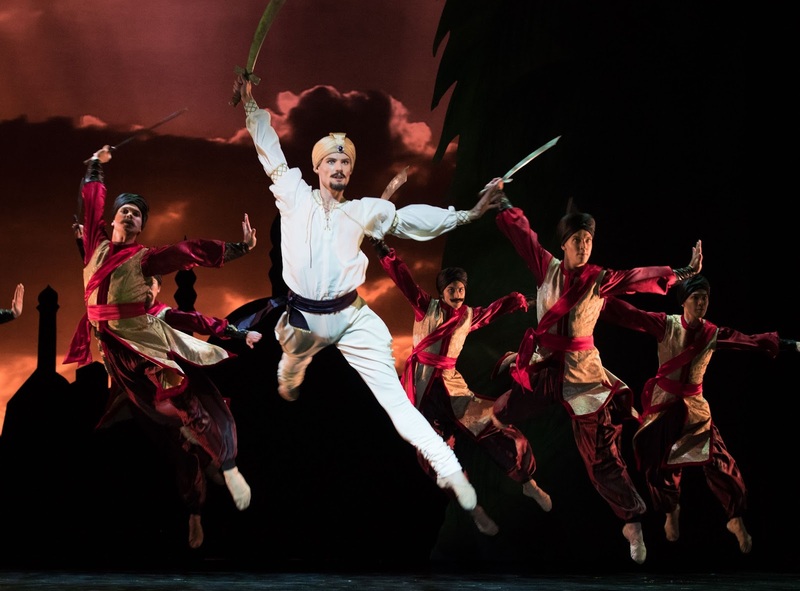 An estimated 700 costume pieces, also designed by Gary Harris, were created in-house at Queensland Ballet for this production (including a lot of very impressive fake facial hair!) and brought an extra breath of magic to the glittering stage. 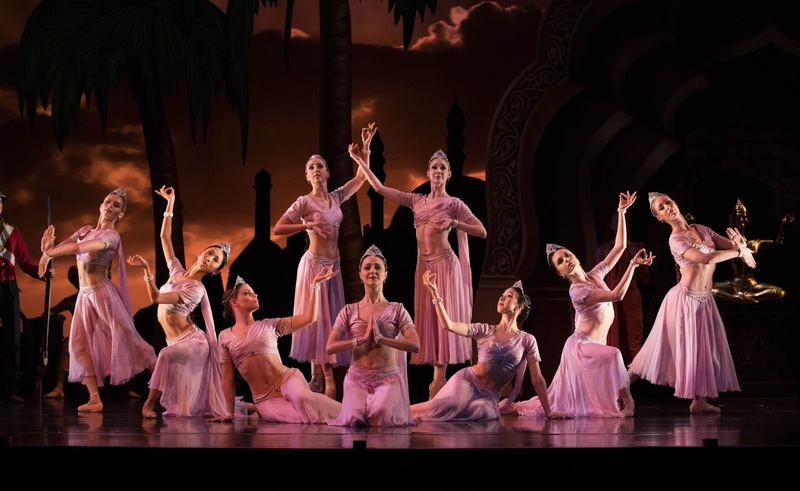 La Bayadère is a heart-wrenching and beautiful ballet, with its technical demands aptly met by the world-class Queensland Ballet dancers. Purchase your tickets for the remaining shows here – they’re almost gone!